Over the past 40 years the UK has become one of the most unequal societies in the developed world. The richest fifth of the population now gets 42% of the county’s income, whilst the poorest fifth gets just 8%. What role has transport played in this growing inequality? And what can be done to redress the balance? A new report published by The Equality Trust illustrates that inequality is embedded within our transport system through government subsidies. 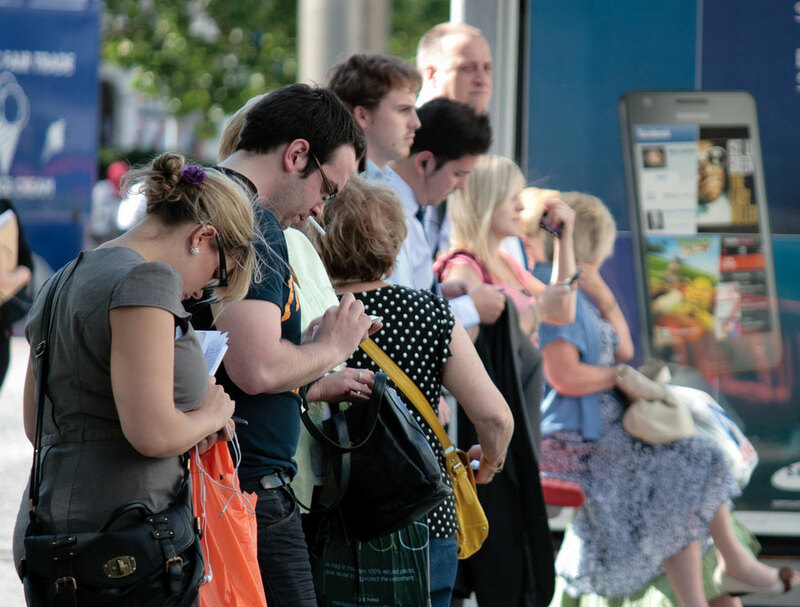 Far from redressing the growing imbalance, the report argues that UK public transport subsidies actually further entrench this inequality. The richest ten percent receives £977.4 million in transport subsidy. The poorest ten percent receives just £296.7 million. The poorest in society are unable to travel as far or as often, and this limits their ability to compete with the better off for jobs and decent pay. It also restricts their choices in terms of access to healthcare, education and other services. Lower income groups are also especially reliant on public transport. Almost half of those in the poorest income group have no access to a car. One consequence of that is that they are forced to spend more on taxi journeys than any other income group. Buses are particularly important for low income groups. The Equality Trust highlights how people in the poorest fifth use the bus more than three times as much as people in the higher income groups. Meanwhile, people in the richest 20% take three times as many rail trips as those in the poorest fifth. Their report shows that part of the imbalance is due to the amount that goes into subsidising the railway. And the higher subsidy received by the richest households is a result of those households spending more than low income households. For many travelling by train is prohibitively expensive. In effect this is case of a subsidy being locked behind a paywall, with those on low incomes unable to access it. The answer is not, as some are now arguing, to cut subsidies for rail. A strong public transport offering is vital for our economy and environment, and for the whole of our society and future prosperity. The answer lies in providing more support for bus users at both national and local level, and in greater investment in local bus infrastructure. It also lies in more demand management measures and car restraint, and in ensuring that the true external costs of motoring are factored into pricing. The bus is the predominant mode of public transport, and yet buses have been one of the biggest losers when tough decisions have been made on funding. In real terms, the overall funding level for bus networks outside London is around £500 million lower than it was in 2010. This trend needs to be reversed. Buses are vital for tackling congestion, which costs the UK economy at least £11 billion a year and is a major constraint on growth. And tackling car dependency will be essential if we are to deliver an 80% reduction in carbon emissions by 2050. Transport is responsible for 21% of emissions in the UK and 58% of those emissions are generated by cars. Of course, for many in society car dependency would never apply as they don’t own a car and completely depend on public transport. Buses are a lifeline providing vital access to employment and essential services. 77% of job seekers have no regular access to a car, van or motorbike and rely on buses to access job opportunities and employment. This rising to 87% of unemployed 16-24 year olds. Over the past few years a considerable evidence base has grown on the wider economic impact of buses. For example we know that buses are the primary mode of access to city centres. Bus commuters generate £64 billion in economic output, and one in 10 of those commuters would be forced to look for another job or give up work altogether if they could no longer commute by bus. We have barely scratched the surface, however, of the question: what is the social value of the bus, and what is the cost to society of not funding it properly? What will be the long term consequences for society of cuts to supported services? What will be the costs to society in terms of unemployment; missed hospital appointments and narrowing educational opportunities and career choices? More research is urgently needed in this area to inform local government funding decisions in the context of shrinking budgets. In the meantime it is vital that bus revenue funding is kept at its current level in the Spending Review if we are to avoid triggering a crisis in bus services, with all the negative impacts on Britain’s economy and society that would result.